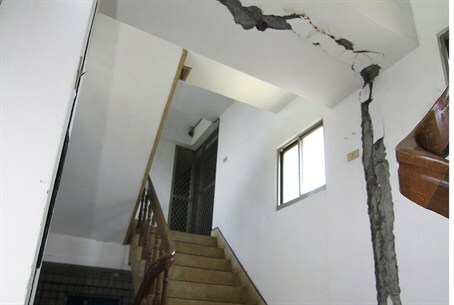 A 6.1-magnitude earthquake in central Taiwan sent school children running for cover Wednesday as buildings swayed across the island. According to the U.S. Geological Survey, the quake occurred at 10:03 a.m. local time, with the epicenter in Nantou county, about 250 kilometers (155 miles) south of Taipei. The location is not far from the epicenter of a 7.6-magnitude killer quake that struck the island in 1999, leaving more than 2,300 dead. Wednesday’s temblor occurred at a depth of 20.7 kilometers (12.9 miles) and caused little damage though it was felt across the island, located southwest of Japan and directly north of the Philippines. At least one office worker, a woman, was injured. Officials said that sections of the high-seed rail were temporarily suspended from service to enable inspectors to examine for damage. Most structures, however, appeared to remain intact despite minor cracks that ran through the walls.